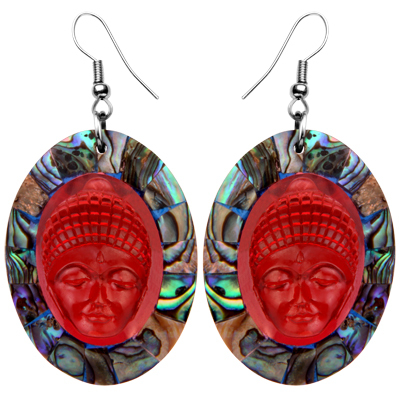 Earring with resin buddha, glass beads & mixed shell. Necklace with resin buddha, glass beads & mixed shell. Bracelet with resin buddha, glass beads & mixed shell.